Tibetan spiritual leader Dalai Lama has said that neither India nor China has the ability to defeat each other. 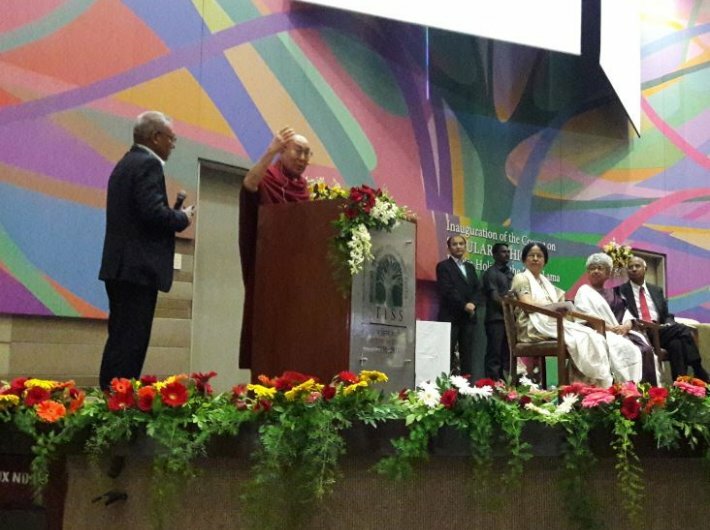 The 14th Dalai Lama was giving the inaugural lecture at the launch of a course on ‘Secular Ethics for Higher Education’ at the Tata Institute of Social Sciences in Mumbai on Monday. “China’s military is very powerful and India, with over a billion population, is also very powerful. Some sort of firing may take place but that does not matter. Basically both will live side by side,” he said. He added that earlier, Tibet was hostage to China but since 1951, when a 17-point agreement was signed between Peoples Republic of China and Tibetan local government, China has become the biggest communist country with the largest Buddhist population. Both sides eventually have to keep in mind ‘Hindi-Chini, Bhai- Bhai’. Speaking on secularism, he said that the Indian constitution itself is based on secularism. Secular means respect for all religions and non-believers. “During the French Revolution and the Bolshevik movement in Russia, there was some tendency against religion. People opposed the exploitation by their kings and queens. Religious institutions were supporting feudal lords of kings and queens hence the revolution also went against them. That's why in the western context, secularism has become a word expressing disrespect to religion,” he said. “As far as socioeconomic theory is concerned, I am a Marxist’ he said laughing. It is a worldwide tendency to support feudal system. Caste system is part of all traditions and emanates from the feudal system. Upper class has to rule lower class people. We have to make change… Education, moral ethics eventually can bring some effect... If only India can combine modern education and pure ancient knowledge, peace of mind will come,’’ he said.